A federal grand jury probe of the firings of nine U.S. attorneys during the Bush administration is focusing on the role played by recently retired Sen. Pete Domenici (R-NM) and former senior Bush White House aides in the 2006 dismissal of David Iglesias as U.S. attorney for New Mexico, according to legal sources familiar with the inquiry. Previously, Domenici was severely criticized by two internal Justice Department watchdog offices, the Department's Inspector General and Office of Professional Responsibility (OPR), for with their earlier probe of the firings of the U.S. attorneys. In part because of their frustration that Domenici and his chief of staff, Steve Bell, as well as several senior White House officials, would not cooperate with them, the Inspector General and OPR sought that a criminal prosecutor take over their probe. It is unclear whether Domenici will now cooperate with the criminal probe. Domenici's attorney, Lee Blalack, in an interview, declined to say what Domenici will do when he is contacted by investigators. Now, go read the rest. Also see Emptywheel's piece on this, with a reminder that an Albuquerque Journal story from April 2007 reported Domenici had to call Bush directly to get Iglesias fired. In other words, it looks like the RNC had scheduled a call to tout evidence of voter fraud -- not voter registration fraud, mind you, but actual voter fraud -- being perpetrated by ACORN in New Mexico. But when ACORN appeared to come up with compelling evidence that no such fraud had occurred, the RNC held the call anyway, simply shifting the focus to other vague allegations against ACORN -- then refused to address the New Mexico situation when asked. The New Mexico GOP has been trumpeting charges that they've found 28 illegitimate voters in the primary caucus here. Only five of the 28 New Mexicans named by the GOP were registered to vote by ACORN, and all of them were, indeed, legitimate voters. The others dug up by the New Mexico GOP have also reportedly been found to be real people with a legal right to vote. In a conference call with the media on Monday, ACORN said local elections officials had confirmed that the 28 were valid voters. So much for the huge "voter fraud" scandal being drummed up this year by the likes of GOP State Rep. Justine Fox-Young. The New Mexico GOP is also getting heat for making public the names of voters being challenged in the PR gambit from none other than U.S. House Judiciary Committee Chairman John Conyers. Furthermore, it is deeply troubling that, just weeks after the Department's own watchdogs documented the role that specious agitating on alleged vote fraud matters by New Mexico Republicans played in the firing of United States Attorneys in 2006, in this controversy we see the same figures cropping up again and apparently obtaining a new FBI investigation just in time for the 2008 election. Thus a lawyer named Pat Rogers -- described in the local press as "an attorney who advises the state GOP" -- is apparently playing a key role in pressing these current claims. Mr. Rogers, however, appears repeatedly in the report on the U.S. Attorney firings prepared by the Department's Offices of the Inspector General and Professional Responsibility, which documented his actions making flawed claims of voter fraud and bringing unwarranted pressure to bear on law enforcement officials, including Mr. Iglesias, in 2006. Pat Rogers, GOP Point Man on "Voter Fraud"
The state's Republican Party claims it discovered the problems during a review of 92 newly registered voters in one district. Pat Rogers, an attorney who works closely with the state's Republican Party, said the suspect ballots were turned over to the state attorney general's office and the Bernalillo County district attorney. Rogers, it turns out, has a history of lodging complaints against Democrats and organizations such as ACORN claiming voter fraud and other election irregularities. According to a report by the Justice Department's inspector general, "Patrick Rogers, the former general counsel to the New Mexico state Republican Party and a party activist, continued [before the 2006 election] to complain about voter fraud issues in New Mexico. 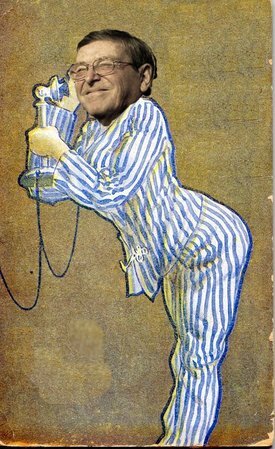 In a March 2006 e-mail forwarded to [Craig] Donsanto in the [Justice Department's] Public Integrity Section, Rogers complained about voter fraud in New Mexico and added, "I have calls in, to the USA [U.S. Attorney] and his main assistant, but they were not much help during the ACORN fraudulent registration debacle last election." Donsanto is the author of the updated May 2007 Federal Prosecution of Election Offenses manual that softened the warnings about investigating and prosecuting voter fraud cases before an election. Last week, according to an Associated Press report, the FBI launched an investigation into claims by Republican operatives that ACORN has been involved in a massive voter registration fraud scheme. Rogers told The Public Record after the release of the Justice Department report on the U.S. Attorney firings that the "the DOJ report is erroneous is so many ways it is not possible to address them all." "The voter fraud wars continue. Any indictment of the Acorn woman would be appreciated. . . . The ACLU/Wortheim [sic] democrats will turn to the camera and suggest fraud is not an issue, because the USA would have done something by now. Carpe Diem!" Local Bush/Cheney campaign chairman Sheriff Darren White, showed up at the Bernalillo county clerk's office demanding to know if there were any questionable voter registrations on file. Mary Herrera, the Bernalillo County clerk, told White that there were about 3,000 or so forms that were either incomplete or incorrectly filled out. White seized upon the registration forms as evidence that ACORN submitted fraudulent registration forms and held a press conference along with other Republican officials in the county to call attention to the matter. In the letter, Bauer asks for an inquiry into what he calls a "systematic development and dissemination of unsupported, spurious allegations of vote fraud." On a conference call with reporters, Bauer went further in explaining their position. "These [vote fraud] allegations do not mean illegal voting," Bauer said. "Nobody really expects thousands of Mickey Mouses or Tony Romos to show up at the poll to vote this fall. But at the end of the day, the reason that you're getting the daily calls, the reason -- quite apart from political desperation -- that they're resorting to this issue and not to others, is to utilize the mantra that they've hit upon and the organization whose name they plan to make famous as a proxy for attacking the electoral process itself." "There's a Republican attorney down there you're well aware of, Pat Rogers, who was involved in the Iglesias firing -- David Iglesias firing, who's continuing to whip up this story. The chair of the New Mexico Republican Party [Allen Weh] has been actively involved in this. You can read more about the involvement of Pat Rogers and -- and Mickey Barnett -- in the "voter fraud" scams of 2006 in a previous post that also describes their connections with Rove and the Iglesias firing. See . This ACORN "vote fraud" stuff is rehashed garbage from last time out, pure and simple. And now we're seeing it's being orchestrated by the usual Republican suspects for the usual reasons -- to suppress voting by Democrats and provide an excuse for possible legal action after (IF) we win. This time, however, the Obama campaign is on it. Seems clear to me that the R's can't win unless they cheat, lie and steal, which they're perfectly willing to do for their "cause." Shameful, aren't they? In the last debate, McCain could actually say with a straight face that ACORN was "now on the verge of maybe perpetrating one of the greatest frauds in voter history in this country, maybe destroying the fabric of democracy." No, Johnny, that would be the many voter suppression crusades repeatedly undertaken by Republicans from the 1960s on. A hefty 300+ page U.S. Department of Justice report (pdf) on the firing of U.S. Attorneys by the Bush administration was released today. It mentions a number of New Mexico Republicans including Pete Domenici, Heather Wilson and Darren White. U.S. Attorney General Michael B. Mukasey has named Connecticut Acting U.S. Attorney Nora R. Dannehy, a federal prosecutor for 17 years, to serve as special prosecutor in this case. The investigation uncovered "significant evidence" that partisan political factors played a role in some of the 2006 dismissals. Particularly "troubling," according to the report, was the sacking of New Mexico U.S. Attorney David C. Iglesias after several Republican elected officials complained about voter fraud and public corruption cases he pursued. That episode raises the possibility that obstruction of justice and wire fraud laws were violated. ... Reached by phone, Iglesias said he was cheered by the findings and said he looked forward to the results of the investigation as it proceeds. Rep. Heather Wilson (R-NM) told Karl Rove at a November 16, 2006 meeting: "Mr. Rove, for what it's worth, the U.S. Attorney in New Mexico is a waste of breath." Rove's response: "That decision has already been made. He's gone." The Department of Justice (DOJ) released a scathing report today blasting Darren White and other Bush cronies for their role in the firing of non-partisan U.S. Attorneys based on partisan political pressure, and the DOJ has appointed a special prosecutor to determine if criminal charges will be brought against those involved. Darren White, the 2004 Bush-Cheney Reelection Chair for Bernalillo County, is named multiple times in the today's DOJ report -- specifically in the improper firing of New Mexico U.S. Attorney David Iglesias. The report shows that while serving as George W. Bush's Campaign Chairman, Darren White was using the Sheriff's office to try to inappropriately influence a federal investigation. "Darren White is knee deep in one of the largest scandals in the history of the DOJ and he needs to come clean immediately to the voters of Central New Mexico about his role in the potentially illegal firing of U.S. Attorneys," said Martin Heinrich. "Central New Mexican voters deserve to know the truth before Darren White testifies under penalty of perjury for the newly appointed special prosecutor. How many times did Darren White speak with Heather Wilson, Pete Dominici or Karl Rove about firing David Iglesias? How did he use his official position to pursue political witch-hunts? This scandal clearly demonstrates Darren White is anything but an 'independent voice' for New Mexico, and the voters of Central New Mexico will see him for the partisan hack that he is." o "Among those who urged Iglesias to investigate and prosecute voter fraud cases in New Mexico were Allen Weh, the Chairman of the state Republican Party; Patrick Rogers, a former general counsel to the state Republican Party who continued to represent the party on voter fraud and ballot access issues; Mickey Barnett, an attorney and former Republican state senator active in party politics; Steve Bell, Chief of Staff to Senator Pete Domenici; and Darren White, the elected Republican Sheriff of Bernalillo County and Chairman of the 2004 Bush-Cheney campaign in New Mexico. Iglesias said he knew all of these individuals and considered many of them to be his friends." o "Sheriff White told us that he thought the [U.S. Attorney's Office] should have investigated and prosecuted cases without involving state agencies, and that Iglesias's concern about appearing nonpartisan was misguided." More will be revealed. These developments could entirely change the political playing field here, and maybe even result in serious charges being brought against one or more New Mexicans. However, the investigation is expected to carry over into the next administration so it's anyone's guess how events will affect the election here as they unfold. One thing we do know: things are not looking good for Republicans, either nationally or in New Mexico. Imagine what we'll find out as more and more shields are peeled away from the actions taken by the Bush administration over the past 8 years. Here's a blockbuster clip of New Mexico's former U.S. Attorney, David Iglesias, answering a question about Bernalillo County Sheriff Darren White at a recent appearance at Bookworks in Albuquerque. Iglesias, a Republican, was discussing his new book, . White, also a Republican, is running for Congress in NM-01. Iglesias quotes from his book to describe White as "a shoot from the hip kind of lawman" who "shoots first, aims later." Iglesias also says,"I've been very disappointed in Darren. He doesn't understand his duties as a Sheriff. He put, and, this is what I'm very critical of people like [Alberto] Gonzales [as well], they put loyalty to their party at a higher level than their loyalty to the Constitution. Darren did the same thing. So I hope the voters understand that, come November." He then discusses White's unprofessional behavior in pushing him to file voter fraud charges despite their being no evidence of such fraud in New Mexico. George Bush is coming to Albuquerque on Tuesday, May 27th, for a big-ticket fundraiser to benefit Darren White's Congressional campaign and the New Mexico GOP. Could White be more joined at the hip to Bush and his administration's often unconstitutional or illegal actions related to the U.S. Justice Department? Never forget, White served as Bush's campaign chairman in Bernalillo County during the 2004 presidential race. UPDATE: Also see an expanded clip of this exchange from the New Mexico Independent that includes Iglesias' criticism of Heather Wilson and her phone call pressuring him about issuing indictments in a political corruption case involving Democrats. Heather Wilson is battling Steve Pearce in the GOP primary for U.S. Senate. The Defenders of Wildlife Action Fund launched its second TV ad today blasting Republican Reps. Steve Pearce and Heather Wilson as being two bad for New Mexico due to their unethical behavior and anti-conservation voting records. Rep. Wilson is criticized in the ad for pressuring U.S. Attorney David Iglesias to put politics before the law, and voting to give oil companies billions of dollars in tax breaks. As reported in the newspaper Roll Call last week, Rep. Pearce is criticized for ignoring clear conflicts of interest while selling his oil company for millions of dollars above its apparent value, and for voting against prosecuting price gouging at the gas pump. "New Mexican families deserve better representation in the U.S. Senate than either Steve Pearce or Heather Wilson," said Defenders Action Fund President Rodger Schlickeisen. "Steve Pearce and Heather Wilson have behaved with shockingly questionable ethics and voted against the interests of a sound energy policy. New Mexican families deserve an honest, sensible voice in Washington that looks out for their interests, and that is Tom Udall." The ad will be broadcast statewide, and follows Defenders Action Fund's previous TV ad criticizing Pearce and Wilson as being "two bad for New Mexico" for putting the interests of big oil companies before those of ordinary New Mexican families. Amazingly, the overwhelmingly toothless U.S. Senate Ethics Committee deigned to administer a mild rebuke to Sen. Pete Domenici for the "appearance of impropriety” in connection with his call to former U.S. Attorney David Iglesias demanding information about the timing of pending corruption indictments. The Ethics Committee has been mostly comatose for a number of years, reportedly due to an informal, mutual agreement between Dems and Repubs to refrain from taking any meaningful action on ethics complaints against Senators of one another's parties. Foxes guarding the henhouse and all that. One hand washes the other. The committee finds no substantial evidence to determine that you attempted to improperly influence an ongoing investigation," the committee letter said. "The committee does find that you should have known that a federal prosecutor receiving such a telephone call, coupled with an approaching election which may have turned on or been influenced by the prosecutor's actions ... created an appearance of impropriety that reflected unfavorably on the Senate." "I am gratified the Senate ethics committee has concluded its inquiry favorably without a formal adjudicatory review, confirming what I have always maintained: I did not attempt to improperly influence an ongoing investigation when I telephoned the former United States Attorney for the District of New Mexico. "Nevertheless, as I said publicly last March when this complaint was originally filed, I regret the distraction this controversy has caused my colleagues, my staff, my family and, most importantly, my constituents. Now that this matter has concluded favorably, I am anxious to focus all of my time and attention on the business of the people of New Mexico." So, Domenici is sorry only for the "distraction" he caused, not for the pressuring phone call itself. He refuses to acknowledge that what he did was just plain wrong. Ironic that Repubs are always droning on about "personal accountability," but never seem to believe the concept should apply to their own actions. Do as I say, not as I do. Domenici also failed to apologize for lying to the media by claiming he knew nothing about any call by him to Iglesias when the story first broke. "I trust this will serve as a warning to other members of Congress that contacting United States attorneys in this manner is impermissible and unacceptable behavior. "This official reprimand to a senior senator who knew better has revived my confidence in the rule of law and the sanctity of a prosecutor's independence." Domenici called Iglesias at home one evening in October of 2006 and asked him when the pending indictments would be issued. When Domenici didn't receive assurances from Iglesias that the indictments would be filed before the November election, he said he was "sorry to hear that" and hung up abruptly on Iglesias. Iglesias was fired about a month after the call, and he became one of the major players in a U.S. Senate probe into the firing of eight U.S. Attorney's across the country for what many claim were political reasons. Attorney General Alberto Gonzales eventually resigned in connection with the scandal. The Ethics Committee’s review is hardly an end to the firings of the U.S. attorneys. Both chambers are pursuing contempt of Congress charges against White House officials for refusing to testify on the matter, and the Justice Department’s inspector general and Office of Professional Responsibility have launched far-reaching probes. Several people close to that investigation told The Hill in January that the internal inquiry was looking at a wide-range of questions, including whether senior Justice officials lied to Congress, violated the criminal provisions in the Hatch Act, tampered with witnesses preparing to testify to Congress, obstructed justice, took improper political considerations into account during the hiring and firing of U.S. attorneys and created widespread problems in the department’s Civil Rights Division. Rep. Heather Wilson also called Iglesias about the "sealed indictments" and that matter is still before the U.S. House Ethics Committee. I won't hold my breath waiting for any meaningful resolution of that case. This one sounds like a must-see. 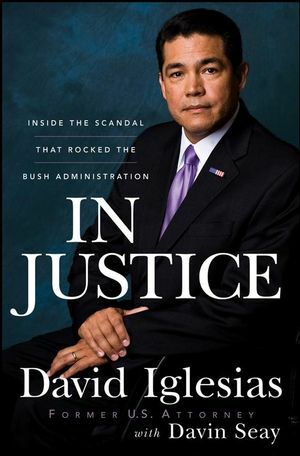 Former U.S. Attorney for New Mexico, David Iglesias, will be signing and discussing his important new book and the roles played in his abrupt firing by familiar figures like Rep. Heather Wilson, Sen. Pete Domenici and Karl Rove. Each person must have a ticket to enter event. Tickets are free. Pick up a numbered ticket at Page One Bookstores or the Albuquerque Academy Bookstore. Seating is limited. Books can be purchased at event or at Page One Bookstore. Publication date is May 15. The Bush administration’s drive to politicize the Justice Department reached a new low with the wrongful firing of seven U.S. Attorneys in late 2006. Their action has ignited public outrage on a scale that far surpassed the reaction to any of the Bush administration’s other political debacles. David Iglesias was one of those federal prosecutors, and now he tells his story. Iglesias has long served in the Navy as part of the JAG corps. One of his earliest cases, about an assaulted Marine in Guantanamo Bay, became the basis for the movie A Few Good Men. When Bush chose him to become the U.S. Attorney for New Mexico, it was a dream come true. He was a core member of Karl Rove’s idealized Republican Party of the future — handsome, Hispanic, evangelical, and a military veteran. The dream came to an abrupt end when Senator Pete Domenici improperly called Iglesias, wanting him to indict high-level Democrats before the 2006 elections. When Iglesias refused, the line went dead. Iglesias was fired just weeks later. First, he was devastated. Then, he was angry. Now, he is speaking out. Iglesias recounts his interactions with Bush, Rove, Alberto Gonzales, and other key players as he takes readers into his time at the Justice Department to reveal what top Republican officials said and did, and how they subverted justice (Wiley). Also see my post from last month that discusses a review of the Iglesias book by Dahlia Lithwick at Slate. Given the documented involvement of NM GOP operatives, Domenici and Wison in the shady, Rovian maneuverings to politicize the U.S. Justice Department and cast out ethical U.S. Attorneys, is it any wonder that most thinking people believe it's a story when fellow Repubs accuse Wilson's campaign of paying for votes at local GOP delegate conventions? In his forthcoming book about the scandal, In Justice, co-written with Davin Seay, Iglesias attempts to puzzle out who did him in and why. Like another purged colleague, former U.S. Attorney John McKay from Washington's Western District, who has recently written a long law review article about the firings, Iglesias is persuaded that the nameless, faceless folks who engineered the firings were engaged in serious, if not criminal, wrongdoing. And although the evidence is, he concedes, still mostly circumstantial, one of his chapter titles is "All Roads Lead to Rove." The mild-mannered McKay, for his part, argues for bringing obstruction of justice charges against Gonzales. What most shines through in the draft copy of Iglesias' manuscript, provided to Slate by the author, are the raw politics animating both his dismissal and the subsequent cover-up. Indeed Iglesias describes that at his very first meeting with then-White House Counsel Alberto Gonzales in 2001, which took place shortly after he became a U.S. attorney, Gonzales offered him the following warning: "This is a tough town. They are out to destroy the president, and it is my job to protect him." Iglesias, whose book will be published in June, writes that immediately after receiving the news of his dismissal in December 2006, he put in a desperate call to another U.S. attorney from Texas' Western District, Bush protégée Johnny Sutton. According to Iglesias, Sutton immediately warned him that the firing was a "done deal" and that "[T]his is political. If I were you, I'd just go quietly." When Iglesias, still unaware that this had been a mass firing and ignorant of the basis for his dismissal, pushed Sutton to explain how he knew it was "political," Sutton replied, "I saw your name." UPDATE: Click to listen to an podcast (mp3) of about an hour of the show that focuses on the NM story. Both former Gov. Dave Cargo and KKOB's former news anchor, Laura MacCallum, are interviewed. You can listen live right here. If there's time for calls, you can get in via 888-5-PeterB (888-573-8372). As you've probably heard by now, Sen. Pete Domenici's approval rating tumbled to 41% in the latest Survey USA poll commissioned by Albuquerque's KOB-TV. This is down from 52% who approved in Survey USA's August poll. Six hundred adults in New Mexico were surveyed by telephone for this month's poll during the period 09/14/2007 - 09/16/2007. Ominously, 54% disapproved of Domenici with only 6% not sure. The poll's margin of error is plus or minus 4.1%. Dem State Party Chair Brian S. Colón weighed in on Domenici's falling numbers: "The people of New Mexico are clearly unhappy that Pete Domenici is more loyal to George Bush and his failed policies than to the families of New Mexico. This poll confirms that Domenici is in serious danger of losing his job when New Mexicans go to the polls next year." Only 38% of women and 37% of Hispanics approved of Domenici, while a mere 34% of independents and 40% of moderates -- groups Domenici needs to win if he's to keep his seat -- approved of the job he's doing. Pete's numbers have generally been trending downward since last November when 68% approved. You can track the trend lines here. The number started dipping at the beginning of 2007, when 66% approved. In March 2007, his approval dropped to 57% as the U.S. attorney firing scandal story broke and Domenici was implicated in the firing of David Iglesias, the U.S. Attorney in New Mexico. The damage has continued as Domenici became the subject of a Senate Ethics Committee probe about his dealings with Iglesias and Pete continued to vote in support of Bush's failed policies in Iraq. Despite trying to distance himself rhetorically from the president's positions, Domenici hasn't really budged from his rubberstamping of Bush's policies. Tellingly, Bush traveled to Albuquerque in August to raise campaign funds for Pete. Domenici's between a rock and a hard place on Iraq. If he sides with the Dems in trying to end the occupation, he may lose his conservative base in New Mexico. If he continues to stick with the sinking ship that is the Bush administration, he has a good chance of going down with it. Meanwhile, ads pointing out Pete's loyalty to Bush on Iraq, like the latest by Americans United for Change, will no doubt increase in frequency. And ad campaigns from the conservative side, like the one by the Swifboat-related "Freedom's Watch" that spent more than $200,000 recently on an ad buy supporting Pete, don't seem to be making a dent. With Domenici being named to a recent list of the 22 most corrupt members of Congress, reports that the Senate ethics probe into his involvement in the Iglesias firing is heating up and rumors circulating about Pete's weakening mental and phyiscal health, you've got the makings of a perfect storm to take him down. The Domenici camp has to be alarmed at the lastest plunge of more than 10 percentage points since last month. The rule of thumb is that an incumbent is in trouble if approval ratings drop below the 50% mark. Domenici's approval rating has never been as low as it is today during his lengthy career in the Senate, which began in 1972. Given his long-standing popularity with the majority of New Mexico voters, the numbers this month are truly shocking. On the other hand, would-be Democratic challengers have got to be encouraged by the lastest polling. Don Wiviott (above), who just yesterday held a meet and greet and free dinner at Ladera Golf Course on Albuquerque's West Side, is the major beneficiary right now. Wiviott, who's creating a growing buzz and has been very successful in raising campaign money via ActBlue, needs to show good fundraising numbers when the third quarter ends on September 30th. According to FEC rules, candidates must release their totals by October 15th. As expected, some pundits and unnamed Dem sources have been repeatedly lamenting that a so-called "big name" candidate hasn't stepped up to run on the Dem side. In an election season characterized by deep distain for DC insiders and business as usual politicos, I think the time couldn't be more right for a run by someone outside the inner circle of power brokers -- especially someone with Wiviott's talents, positions and passion. Clearly, a large percentage of the electorate is looking for candidates with integrity who have solved real problems in the real world, not familiar faces who've spent decades bloviating for the cameras and raising campaign funds from all the wrong people. Just because someone has made a "name" in politics doesn't mean it's a good name. In fact, in this era, it's the best known "name" politicians who have most often abandoned the needs of ordinary people and instead spent their time bowing down to big-monied interests and lobbyists. Do we need more of that in the U.S. Senate? I don't think so. If you agree, you're encouraged to donate a few bucks to the cause at Beat Back Bush New Mexico to improve fundraising numbers before the September 30th deadline for the quarter. For our previous posts on the 2008 Senate race in New Mexico, visit our archive. Thanks to the Down With Tyranny gang for the graphic. Thanks to Terry Riley for the Don Wiviott video clip.